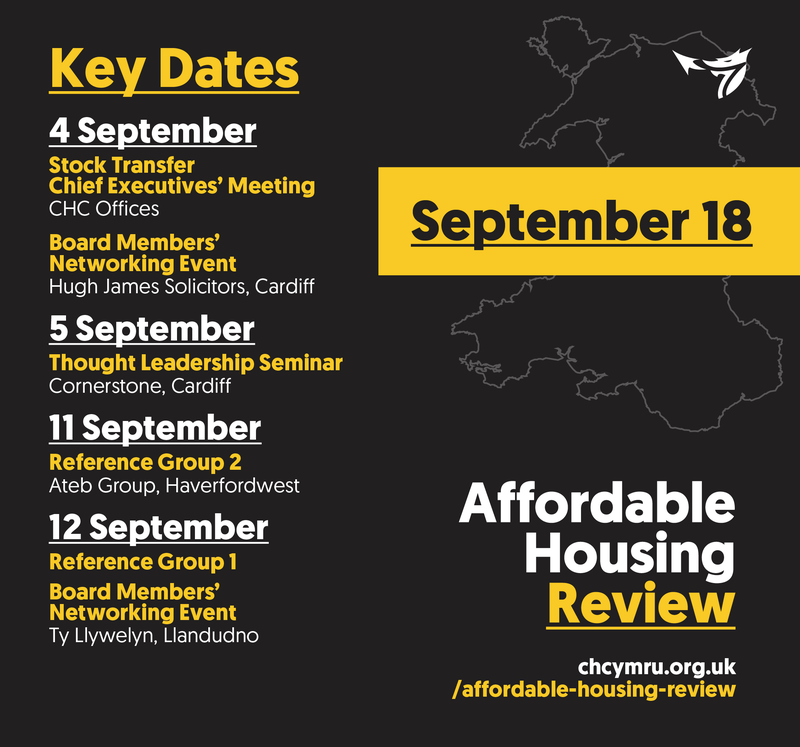 The review is a great opportunity for the housing association sector to shape the future of housing policy in Wales to enable us to deliver on our Housing Horizons. As well as nominating sector representatives to the panel’s workstreams, CHC has set up three reference groups to support our response to the call for evidence. The Panel issued its Call for Evidence on 20th July, and we are encouraging all housing associations to respond individually, as well as supporting CHC’s response. The Call for Evidence is available here. 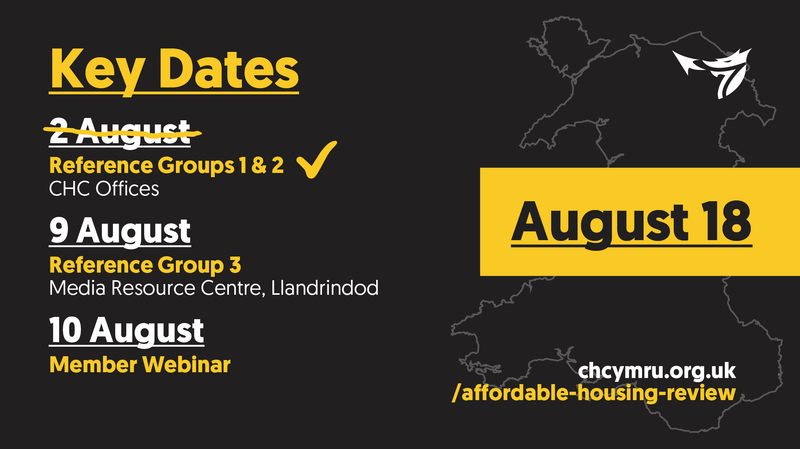 Here's a list of key dates for August and September. If you would like further information or to get involved in the Reference Groups or any of our work on the review, please contact Aaron Hill.